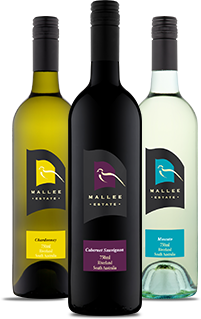 Mallee Estate Riesling has been hand crafted from vines planted in 2001 at the Markeas family vineyards, which are surrounded by Mallee country. Straw yellow in colour with green tinges, the nose offers an assortment of floral and fragrant characters. The palate is crisp and savoury, balanced with a soft fruity finish. This is a refreshing drinking wine and is a delicious accompaniment to seafood and white meats.